Cricket Yorkshire continues to welcome a raft of new writers (see Write for Cricket Yorkshire, if you’re interested) and Tony Hutton is the latest contributor with his incredible knowledge of Yorkshire club cricket. I’ve been fortunate to know Tony for quite a few years and we bump into each other everywhere from a windswept Weetwood for an MCCU match to a little-known village game in the Dales. 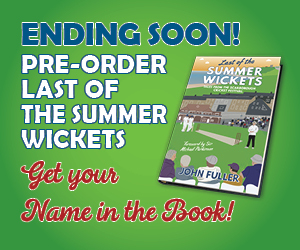 Like me, he seeks out and celebrates the variety of Yorkshire cricket and below, he has penned his thoughts and recommendations on a few grounds from Fryup to Lofthouse and Middlesmoor. It is hard to believe that almost thirteen years have passed since I set out to keep a diary of the 2006 cricket season with fellow cricket watchers Brian Senior and the late Mick Bourne. Thanks to the efforts of Peter Davies, then of Huddersfield University, we published the book of our travels – ‘Off the Beaten Track’. We followed cricket at all levels, the more obscure the better, and came across some wonderful grounds and met some very interesting people along the way. Looking back, cricket has obviously changed dramatically in the intervening years and we are now at a stage where what I would call proper cricket, played over two, three or four days, seems about to self-destruct. 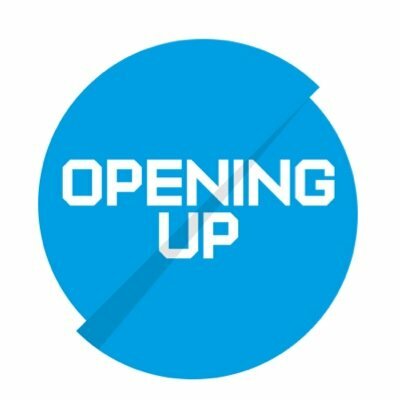 The County Championship is being sidelined, University cricket has rather surreptitiously reduced the number of games this season and the Minor Counties plan to do the same next season. County Second XI cricket may well be the next for the chop. All very disturbing for the traditionalists among us, but fear not, all is not yet lost. 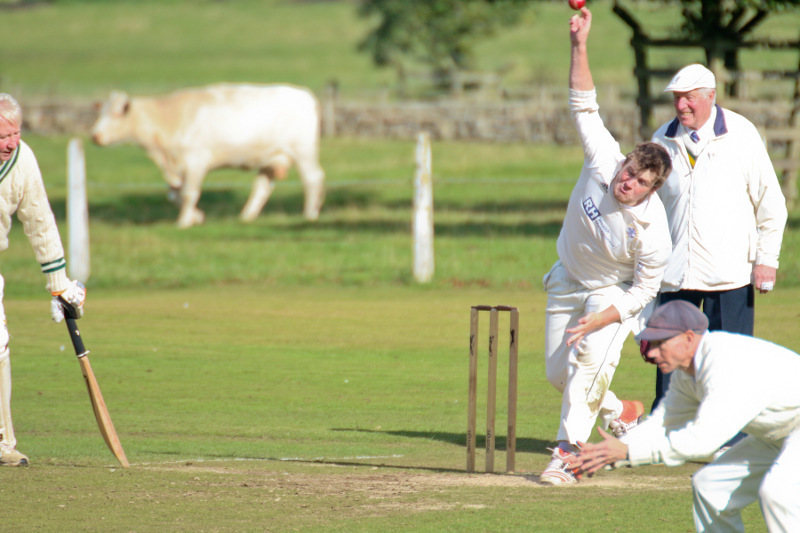 Despite problems affecting league cricket, with some clubs merging and others changing leagues, even some clubs falling by the wayside, there is an awful lot of cricket still being played, particularly in Yorkshire. It is still possible for the adventurous cricket watcher to find out of the way places and often to become involved in what might be called ‘tales of the unexpected’. Curiosities abound as you do the rounds of league cricket and although attendances are rather sparse these days, you will invariably come across someone with a lifetime of memories only too willing to talk about the club’s history and the characters who have played for them. You will find close evenly matched contests and other times very one-sided games, with runs galore or wickets aplenty tumbling. 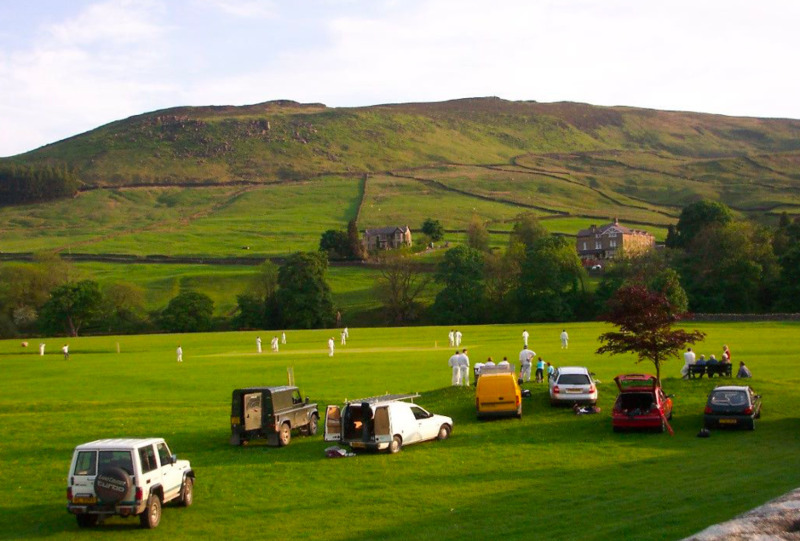 I recall visiting one of the remotest grounds in Yorkshire at Fryup in the Esk Valley League. A couple of wickets fell shortly after arrival and the scoreboard then showed 0-4! Obviously a game that did not last long. The Esk Valley League is one to treasure. Always a problem finding out fixtures but worth the effort to go as there are some very picturesque grounds. Teams struggle to get players and you feel that the league is somehow living on a knife-edge in a very largely rural community near Whitby. Even further north is the Langbaurgh League going into Teesside. 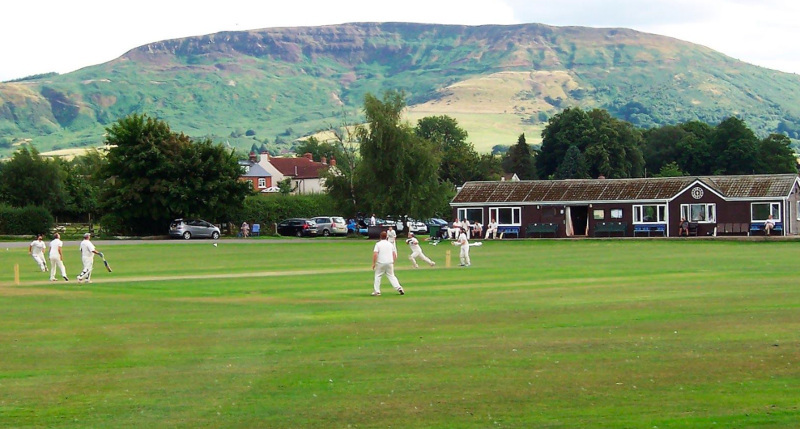 It’s again worth exploring as I found last season when visiting the very scenic Broughton ground (above) with wonderful views of the North York Moors. 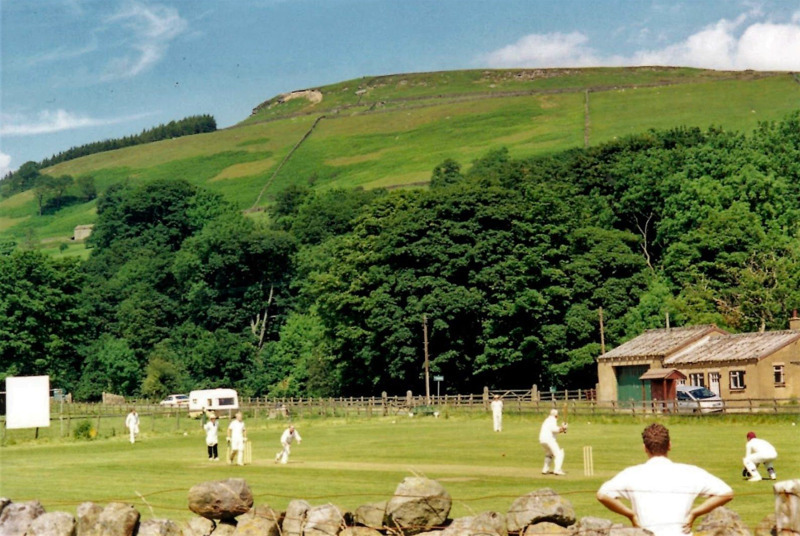 Somewhat closer to home for me is the Nidderdale Cricket League which runs to nine divisions and covers a huge area of North Yorkshire. Soon after my retirement in the mid-1990s, I set myself the task of visiting every ground in this league. I got there in the end during 2002 when I eventually ticked off the very last ground at the very top of the Nidd valley – Lofthouse and Middlesmoor (above). It was my third attempt after two long drives when rain had prevented play at the top of the valley with games going on further south at Pateley Bridge and Glasshouses. 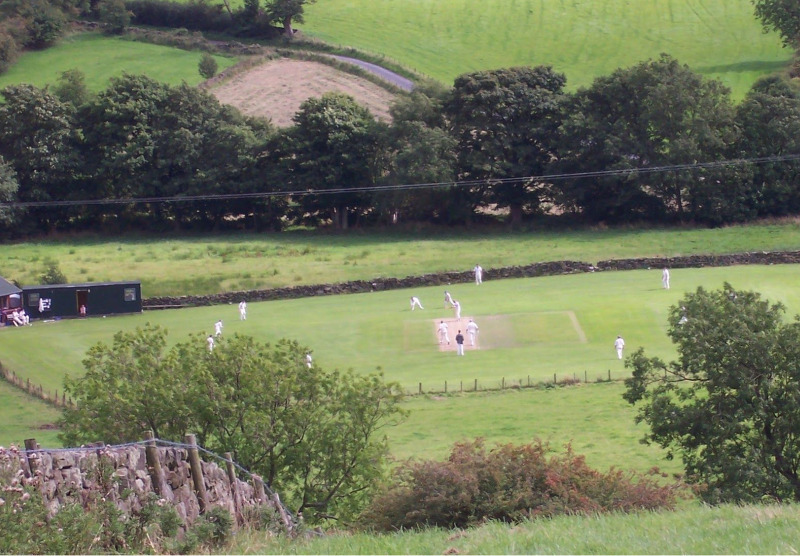 A very small ground but good to watch cricket at this outpost of the league near the road up to Scar House reservoir. 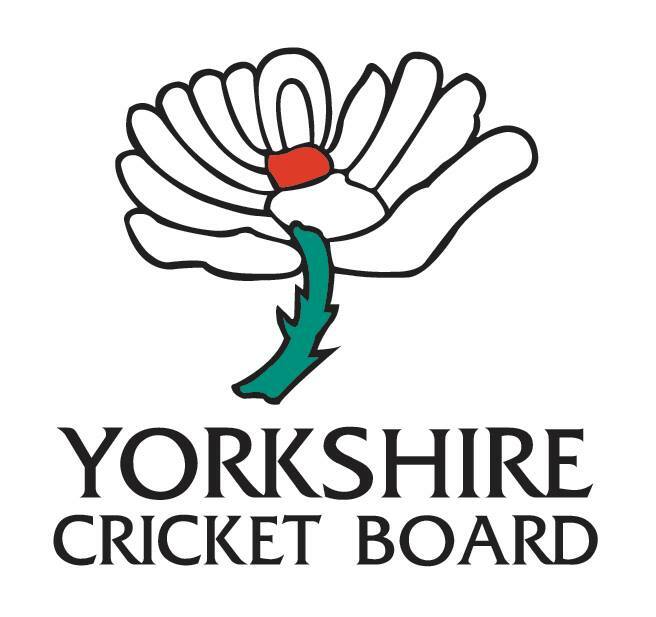 Again, too many grounds to mention in this fascinating league, many of which have already had a mention here on the Cricket Yorkshire website. 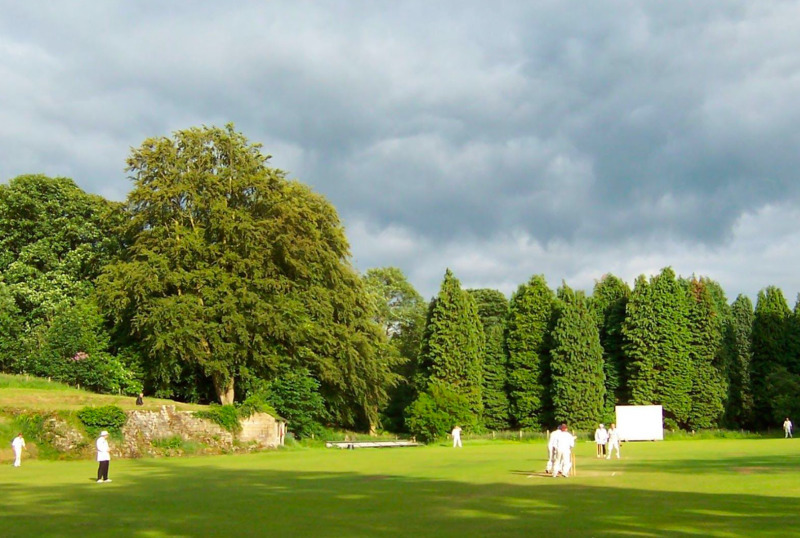 Looking back again to 2006, I can recall a delightful visit to Blubberhouses on a long summer evening, when someone scored a century including ten sixes in a perfect setting. Pateley Bridge is the place to go for an end-of-season game in September when a Nidderdale League XI take on the Craven Cricket League on Nidderdale Show Day. Thornton Watlass, with its unique ground is something unusual and another must-visit venue. It’s incredibly small with a chestnut tree inside the boundary and Mike Amos sums it up well in the Northern Echo. 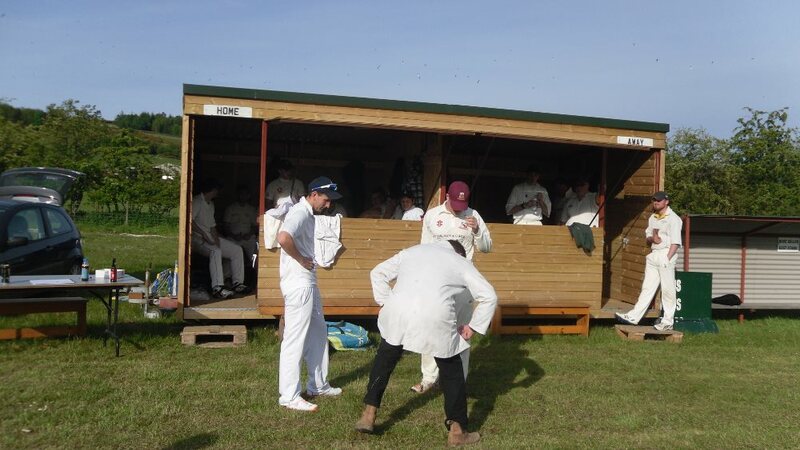 When you get to the end of September, and cricket is slowly fading away, there is only one place to be – Arthington in Wharfedale, now a very successful Nidderdale Cricket League side, but not that very long ago they were one of the last friendly cricket sides around. Their end of season festival is unique going on as it does until the second weekend in October with the same players and spectators returning year-after-year. As I said earlier, there is a great deal of cricket going on in Yorkshire. It might take a bit of finding on occasions but I have found that by using Google Earth, you can discover the whereabouts of any village cricket ground in Yorkshire just by looking on the map. You will see a cut square and away you go. A major step forward from my early days of ‘ground hopping’ when you had to find your own way there and asking for directions often led to blank looks from local residents. Obviously there are many more Saturday leagues and evening leagues available. Another one I should mention is the Dales Evening League, again with fixtures often shrouded in mystery, but worth the effort to set off on a summer’s evening for such outposts as Malham, Cracoe, Burnsall, Barden, Littondale and Kettlewell. Again,you need good weather to set off to such distant spots but given another long, hot summer…who knows what you might find? I could go on as I have not yet mentioned schools cricket or age group cricket. Some people are still surprised to learn that Yorkshire has an Over-50s side who are national county champions…also an over 60s side, both with former big name league cricketers in their ranks. Finally a word for the Yorkshire Academy side, who I have had the pleasure of watching at their various homes of Bradford Park Avenue, New Rover and now Weetwood, for many a long year. To see these youngsters progress over the years from young schoolboys to county veterans is well worthwhile. As well as following the big names like Root and Bairstow, you can also see the ones who don’t quite make it still have long and successful careers in the leagues. Follow @grandad_tony on Twitter for more Yorkshire cricket adventures and I recommend the writers on the Cricket Heritage blog (as I now refer to it). There are plenty of very astute contributions on club cricket but also Yorkshire CCC, Minor Counties and much more.